Let me start by saying sorry for taking such a long time to write a decent article. Things have been progressing pretty slowly for Cross of the Dutchman lately. Let’s wind back a couple of months. We have worked feverously on finishing a demo that demonstrated what we had in mind for Cross of the Dutchman. We got it done, and were able to show the game to a lot of people. There was some genuine interest, but besides being granted “access” to certain platforms, we were unable to find a financing and publishing partner for the game. Why do we need a partner? Well, we’ve been working on CotD for a long time, and it’s been the largest investment our little studio has ever made. The “problem” is that we were able to dedicate two, three, maybe four people at one time to the project. It gets you a long way, but in order to finish the game, and make it the best it can be, we know we need the effort of the entire team for a couple of months to make it happen. This is (unfortunately) something that is not possible with our own financial means. In the past couple of months, we have been talking to different parties, but we have come to the conclusion that nothing is going to happen anytime soon. 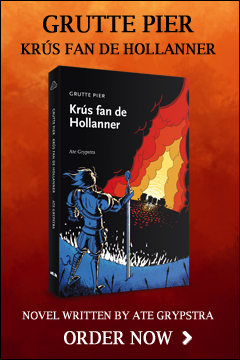 In this light, we’ll also offer the people with pending book pre-orders the Frisian version or a refund. That’s it for the bad news. The good news is, we’re taking the project in a new direction, and we’re not giving up. Soon (and with soon, I mean in the next couple of weeks) you will be able to download the Cross of the Dutchman demo for yourself. We plan to crowdfund the remainder of the development in a way very similar to the Kickstarter campaign. However, this time, we are taking smaller steps. When we are able to fund a month of development time, we will create a new part of the story and the game world, and release it instantly. For now, we invite you over to our forums to discuss our plans of releasing this demo. You can help us by sharing your ideas or examples about how to turn our luck around for CotD, and create something we can be proud of. Hmm yeah challenge is a well name for this problem :D I hope you get much money out of it. I’ll do some very positive mouth-to-mouth reclame for you guys.